Chicken Again!? Yep! Since there are so many ways to cook it! 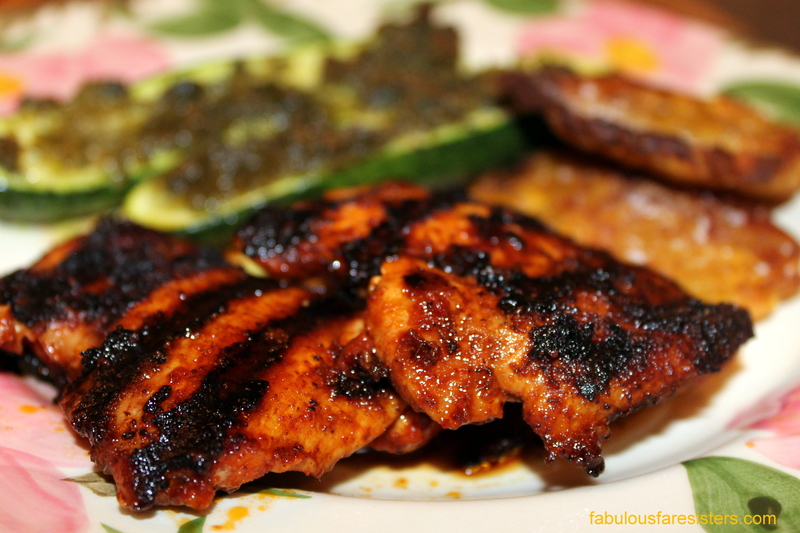 Here’s another good one that’s really easy, juicy and flavorful…marinate the chicken while prepping & roasting the zucchini so that they’ll both be done at the same time. Easy to prepare…easy to eat! Enjoy! Combine the tomato paste, chili powder, paprika, Worcestershire sauce, salt & pepper. Slather all over the chicken thighs. Allow to marinate for at least 10 minutes (prep your zucchini now!) Heat the olive oil in a large grill pan or skillet (I prefer the grill pan since it makes those delicious grill marks!) Cook chicken thighs 5 minutes then flip over and cook an additional 5 minutes. Remove from heat and cover with aluminum foil a few minutes to redistribute the juices. 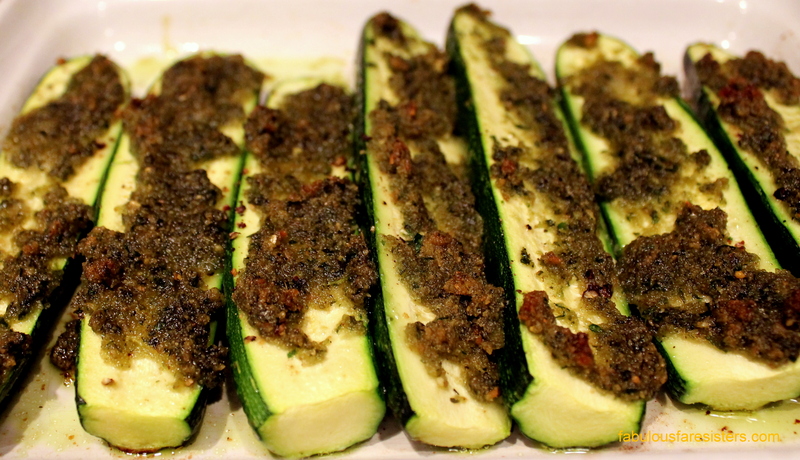 Now, let’s make those roasted zucchini boats! Preheat oven to 425 degrees. In a food processor, combine the oil, basil, parsley, oregano, garlic and salt. Pulse a few times. Add in the breadcrumbs and pulse again…this creates a pesto-like paste. Slice the zucchini lengthwise in half. Spread the basil mixture over the tops of each zucchini. Roast in the oven 10-15 minutes until zucchini is tender and topping is lightly browned. When serving don’t forget to pour the excess juices all over the chicken! Easy and tasty!! !